Sized perfectly for a small table lamp, with an easy clip-on fitter, this bright ivory empire shade is a great choice for refreshing an old light and bringing a clean element to your decor. The exterior is covered in a cotton blend fabric with self trim at the top and bottom, and the fitter comes in a sparkling polished brass finish. 6" across the top x 12" across the bottom x 8 1/2" on the slant. Ivory white empire clip shade. Cotton poly blend fabric with self trim. From the Brentwood Collection brand of lamp shades. Can be used with a bulb up to 60 watts maximum. Could not find a uno ring shade that fit over existing table lamp. 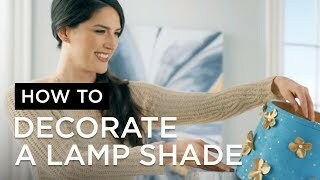 Just want a simple shade that's easy to install. It was appropriate for the candlestick lamps by our bed. My husband broke one shade, while making the bed, and we needed two alike. Need just its specifications. Thanks. What I needed for two lamps. Wanted the clip on shade. Clip-on lamp shades are very had to find...Lamps Plus has a nice selection...thank you! This clip-on design is more difficult to find. Very hard to find clip on shades hoping this is not too big. They are identical to the worn out ones I want to replace. We bought lamp bases from a local shop and they do not have normal sockets. Regular uno fitters are too small and they do not come apart so harps do not work either. 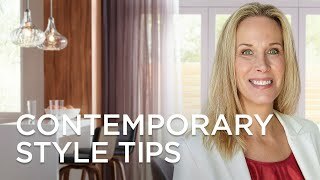 Clip on lampshades are the only option but most are only for smaller lamps. This is the ONLY site that offers larger lampshades with a clip on attachment! Clip-on lamp shades are hard to find and this one fits my lamp. Not a bad price. I get to reuse a lamp I like a lot with a better looking, newer, up to date shade. I bought 2 old, very cool antique lamps that I need shades for...will try these, see if they work! any limit on how bright the bulb can be? BEST ANSWER: Hi - because of its size, this clip-on shade can be used with a bulb up to 60 watts maximum. Regarding the Table Lamp Clip Shade 6x12x8.5. What is the drop for the clipper? I’m trying to estimate the vertical positioning of this shade on my lamp. 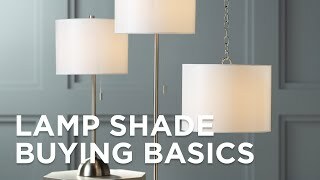 Other lamp shades have the clipper at the very top of the shade (hence no drop length). Is that the case here too? Thanks. BEST ANSWER: Hi - this is a clip-on lamp shade, so there really isn't a fitter drop like there is with spider fitter shades. This clip drops from the very top of the shade, also. The clip drops 3" down and is 2" wide. Is this a clipper that goes directly on the bulb? BEST ANSWER: Yes. It spreads apart easily. I even have it on a spiral LED bulb, thought it's not totally stable -- just didn't have a round bulb at the time. Yes. We clipped it to an LED bulb. Yes, clips right onto the bulb. ????????? 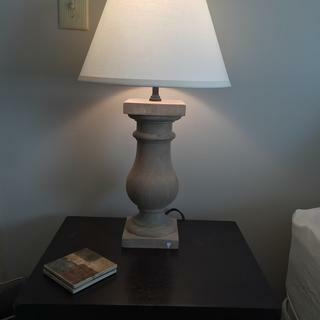 Looking for replacement shade for large table lamp but needs threaded UNO type that twists (not slides) onto existing fixture. Old shade is 7" on top by 17", but other dimension okay if it fits. Lamp Purchased from Target some years ago; they are no help. Thanks. If you are looking for something specific, please contact us and we may be able to special order you a design that will meet your needs. The shade was just as illustrated, and totally to my satisfaction. Thank You. It is a basic shade and the ivory is more pleasing that stark white. Perfect for decorating with acrylic paint. Love these lampshades! I couldn’t find clip-on lampshades ANYWHERE else. I tried Home Depot, Target, Walmart etc. I finally came across Lamps Plus and found these, and they are PERFECT! Loved the help I got on line to get lampshades that would clip onto bulb. Love how they look. Just what I needed! Thanks for quick delivery! This drum lamp shade comes in a cool gray dupioni silk fabric for an instant chic update to your decor.